Over the past three and a half years, we've chronicled the "exploits" of agents, carriers and patients. It seems, though, that providers are not exactly immune to outrageous games, either. First up, we learn that the UCLA Medical Center has been bumping legitimate, deserving, long-suffering American organ transplant candidates in favor of yakuza, members of Japanese organized crime groups. The surgeries, conducted between 2000 and 2004, took place while there was a distinct shortage of qualified organs, exacerbating an already-critical problem. Although the physicians claim not to have known of the, er, character of their erstwhile patients, they also aver that "they do not make moral judgments about patients and treat them based on their medical need." On the other side of flyover country, the Washington Post reports that "surgeons across the country receive trips, meals and consulting deals from artificial-hip and -knee makers." Isn't that the textbook definition of "conflict of interest?" Turns out, the suppliers of various joint-replacement gizmo's [ed: must you use technical medical industry jargon?] allegedly paid certain surgeons to use their equipment. Manufacturers advocates counter that "the arrangement allows doctors and medical-supply companies to collaborate, paving the way for important technology advances in hip and knee replacements." In the event, a federal investigation was launched to look into this kickback scheme. A settlement has apparently been reached, and the facts are beginning to come to light. In what may be a happy ending (of sorts), "(f)our of the world's top companies last year agreed to pay a combined $311 million to settle a federal probe into whether the manufacturers paid kickbacks to doctors to get them to recommend their products." We have hosting opportunities available for late summer and early fall, so please drop us a line to reserve yours. Create a system where price AND quality is evaluated. Those who perform at a higher level are paid more, while those who perform at a lower level are penalized. Then take it a step further. Inform the provider's clientèle who measures up and who doesn't. If your clients want to use a practitioner who does not make the grade, they must be willing to pay more out of pocket to use that provider. This is precisely what the Massachusetts Group Insurance Commission has done. And is seems the docs are not happy. In a lawsuit filed in Suffolk Superior Court, the (Massachusetts Medical Society) - which represents the state's doctors - alleges the commission's plan hurts physicians and patients. The suit claims doctors capriciously ranked lower have been defamed, and that patients who have to pay higher copayments based on their doctor's ranking have been defrauded. Tiering has become a widespread technique for controlling healthcare costs. For example, many insurers have adopted tiered pharmacy benefits, with higher copayments for name-brand drugs serving as an inducement for patients to choose generics. Such structuring is credited with controlling spiraling drug costs. But the tiering of physicians has proceeded more slowly. Doctors have fought the cost-control methods, particularly tiering plans that seek to rank individual doctors, as opposed to physician practices. So, carriers and patients should pay the same price, regardless of the ability of the medical practitioner to treat medical conditions? In other words, you should pay just as much for top level care as you would for a lower level of care. Stupid carrier tricks has been a recurring theme at InsureBlog, proving that we are not shills for the industry that has provided us a way to make a living for a number of years. There are no perfect carriers, nor perfect industries for that matter. For the most part, the carriers get it right . . . except in areas of customer service. And some times they do the right thing from a contractual perspective but forget that they could have made a better decision from a perspective of goodwill. Customer service is virtually non-existent in the carrier world. So far this year I have encountered more issues on relatively simple things that have frustrated my clients and taken up more of my time than is necessary. Here are some examples. Carrier notifies client they have a dependent who appears to be aging off the plan. Client calls carrier asking when coverage will terminate and if their premium will change. Carrier promptly cancels coverage on ALL family members dropping the premium to $0. Client calls carrier who says "Oops!" and reinstates all family members . . . including the over-age dependent. At this point the client calls me for assistance. I get involved and send an email followed by a call to the carrier. They (eventually) send me a form for the client to complete. It is a clean application that is to be completed (sans medical information) and the client is instructed to check the appropriate box to delete the over-age dependent. The following month the dependent is dropped, retroactive by two months but the premium is not adjusted. We wait another month for premium accounting to catch up to the dropped dependent. I start calling and emailing (again) the local manager about the issue. I call and email, this time copying my client (so she knows I am working on the problem). I call again, this time getting the manager instead of her voice mail. She apologizes and tells me I will be called within an hour with a response. 4 days pass and no word. I call again. This time the manager sends me a terse email telling me that I am not to reveal her name to clients as a contact point for service issues. This escalates the issue and I am finally told the problem will be resolved at the next billing cycle. If so, this means my client has overpaid some $65 per month for 4 months. We are still waiting to see what will happen. Situation number two involves a different carrier. My client (who is pregnant) wants to spin her husband and son off the current plan to a less expensive plan with the same carrier. She has been trying to accomplish this for 4 months on her own with no success. She was not originally my client, but contacted me because I came recommended by another client. She names me her agent of record and I start to work on her problem. The carrier assures me this can be handled with a letter, requesting the dependent change. Of course, they were only kidding. Seems there is also a form for the client to sign, plus a form for their PCP to sign, before the change can be effected. The change was finally effected . . . after 2 months with me working on it. Fast forward another month. The baby is born and is taken to the doc at 3 weeks of age for an initial visit. Only problem, the baby is not on the plan. A call to the carrier from the doc's office and an hour later here is the result. The carrier will only agree to add the baby to the plan if she signs a letter and faxes it to the carrier (from the doc's office) naming the carrier as agent of record (essentially firing me) and she gives them a credit card for $520 to cover adding the baby on for April and May. All this for a $100 office visit. She signs the letter and gives them a credit card. Her next call is to me. She wants to change to another carrier and this cannot be done quickly enough. One more situation (even though I have quite a few I could relate). Client applies for coverage with a high deductible ($5700). He takes Lexapro for anxiety. The medication runs $83 per month. They surcharged his premium by $96 per month. Three months later, they came back and said they were only kidding. They are going to refund his $96 overcharge and lower the premium in future months. At least, that is their story for now and they are sticking to it. "The insurance agency owner charged in the death of a state examiner initially consented to a search of his office and car but withdrew after police found areas on carpet and a computer cord that tested positive for blood." Seems that the owner of Dilworth Insurance in Charlotte, NC was being investigated based on an "administrative complaint;" Sallie Rohrbach, the DOI investigator, went missing while conducting her investigation. At one point, "(e)ight armed law-enforcement investigators with the North Carolina Department of Insurance [joined] the search." Never heard of armed insurance investigators before (maybe that's a good thing). Ms Rohrbach's funeral was this past Sunday. The 40-year-old agent, Michael Howell, has been charged with first-degree murder. The authorities believe that "her death is connected to her duties as an auditor." No, not Benjamin Braddock & Mrs. Robinson. The one who just finished high school, or college. That isn't high on the list of requests by the grad. But here is a heads up. Your college freshman has a few options, most of them are not good. One option is to continue on the parents plan. Usually this is the most expensive option. Depending on how your health insurance is structured, you could be paying $300/month or so to cover your child. But the student health plan through college is one you probably want to bypass. Most of these plans are relatively inexpensive, but also lacking in benefits. At least one carrier (Time) is promoting student health plans but this one also falls short. The Time plan limits coverage to $100,000 for any single illness or accident and $1M overall. There is no coverage for outpatient Rx and pre-existing conditions are not covered for 12 months. Actually, there is nothing wrong with any of these plans . . . until you actually need them. Your college grad will run into the same situation, except coverage through the university is not an option. They may also "age off" your family plan but with a COBRA option . . . usually in the $300+ range. Your grad, high school or college, should have their own major medical plan. Not a student plan, or even an extenuation of the family plan. Many times they can pick up exactly what they need for less than $100 per month. I have quite a few students as clients. The savings is significant and, unlike most student plans, they are not subject to arbitrary limits in coverage. Well, that was Douglas Adams' answer, anyway. The question was: what's the answer to life, the universe and everything? A better question might be: how come so many people think nationalized health care is such a good idea? A common answer is that we'd do away with those eeeevil insurance companies, and that everyone would have access to affordable, competent health care. "Mark Degasperis was furious his mother spent five days on a stretcher at Toronto Western Hospital waiting for a room with 25 patients ahead of her ... Heather Degasperis, 60, has a dangerous bacterial condition and was sent by her doctor to Toronto Western because it has the experts for her condition." Yet she spent almost a week without treatment, and was seen by a doc only after the newspaper called and raised a fuss. Still, dangerous waits and provider shortages are rare in the medical utopia, right? "This is a terrible environment. I suggested taking her to another hospital, but we were told there are long waits across the region and the doctors we need are here." "Concerned about the many medical expenses you’ll have to start paying for out-of-pocket because of the increasing gaps in your provincial health insurance coverage? ... With four different levels of affordable health insurance coverage to choose from, you’re certain to find the plan that meets your specific needs and budget." That's right, folks Up North can buy insurance for their, um, insurance. Which begs the question: if nationalized health care is so good (not to mention "free"), how come they still need medical insurance supplements? Parallel Universes hosts this week's roundup of medblog posts. Dr Emer presents a "Top 5," followed by two dozen other interesting (and often provocative) entries. Our friends at the Colorado Health Insurance Insider blog take a look at how some insurance carriers are pushing healthy lifestyle programs. When does a life insurance policy pay? Unless of course the insurer decides the policy holder bought too much insurance. U.S. District court judge William Acker ruled that Mega life must pay $960,832 in death benefits plus interest. Kellie Pieniozek, 23, of Calera, died Dec. 14, 2004, in a one-car accident in Shelby County. The Pieniozeks were driving home when a deer ran onto the road and Kellie Pieniozek lost control of the vehicle and struck a culvert. She died at Shelby Baptist Medical Center. Donald Pieniozek's attorney, Roland Gamble, said Pieniozek attempted to claim a life insurance policy the couple took out in September 2004, but the company denied it because the insurance form listed Kellie Pieniozek's yearly income as $35,000. Mega Life contended she made far less, as she was employed in a series of temporary jobs. The company would never have issued a policy with a high death benefit for someone with a smaller income, it stated in court documents. 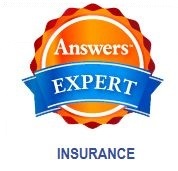 Mega Life's underwriting guidelines called for a death benefit 15 times the insured person's yearly income. Nothing in the article confirms Mega's contention that Mrs. Pieniozek earned less than $35,000. Trying to fight a claim on a vague claim that the insured earned "far less" is shallow at best. "That figure and the method it was arrived at were never questioned by Mega Life's underwriters until after the insured's accidental death," Acker wrote. "Mega Life perhaps, in its own interests, should have been more careful in establishing and enforcing underwriting guidelines." Canadian Dream hosts this week's edition of the Carnival of Personal Finance. There are a lot of posts, each one with a brief explanation. For those of us who wonder (and worry) about what Social Security will look like a few years hence, Bob McDonald tells us that it may not be as bad as we think. We're delighted to host this week's edition of the Health Wonk Review. 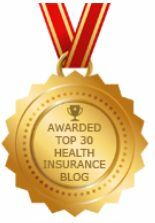 To submit your post on "(h)ealth policy, funding, insurance, managed care, infrastructure, IT, the uninsured, economics and trends," click on over to Blog Carnival or drop us a line. "A West Virginia woman is at the Cleveland Clinic after walking the line between life and death...[she] suffered two heart attacks and had no brain waves for more than 17 hours. At about 1:30 a.m. Saturday, her heart stopped and she had no pulse. A respiratory machine kept her breathing and rigor mortis had set in..."
By all accounts, and by current medical definition, Val Thomas was dead. But as her family met with doctors to discuss organ transplant harvesting, she "woke up and started talking." She's currently at the Cleveland Clinic for observation. "The Bush administration [has launched] a $1.9 million advertising campaign touting its effort to rate hospitals and urging patients to check a government website before choosing one. " "CMS [Center for Medicare & Medicaid Services] is adding information about the number of certain elective hospital procedures provided to those patients and what Medicare pays for those services. For the first time, consumers have the three critical elements -- quality information, patient satisfaction survey information, and pricing information for specific procedures -- they need to make effective decisions about the quality and value of the health care available to them through local hospitals." The site itself is pretty basic and easily navigable. It looks and works much like an insurer's "Find A Provider" page: you can choose to look by a procedure or condition, or by hospitals in your area. Kudos to the CMS folks! HealthPartners, a Minnesota-based healthcare provider, is a non-profit operation, but that doesn't necessarily mean a "non-humor" one. Jason Shafrin, the Healthcare Economist, hosts this week's collection of risky posts. Don't miss the great example of risk mismanagement at the top. There's very little risk involved in hosting your own Cav, just drop us a line to sign up! According to a published report, as many as 600,000 people now covered by private health insurance could drop their coverage. Because they can get coverage for free, or at a much lower cost, by allowing the taxpayers to provide coverage. Those most likely to drop health insurance? This will create an imbalance in the private system leading to an increase in premiums for those who keep private insurance. The additional drag on taxpayer funded plans will lead to deficits on that side, creating more cost shifting back to the private sector. Dr Armitage estimated that even after a $600 million budget injection into surgery waiting lists, public hospitals would be $43 million a year worse off. Premiums would increase for those who stuck with private insurance, he said. Those leaving private insurance would opt for Medicare instead. But AMA president Rosanna Capolingua said it could be a signal to Australians that they could drop their private health insurance or not buy it in the first place. It would lead to longer waits for elective surgery and other treatment. "Those people who genuinely cannot afford (hospital cover) will actually be pushed further down elective surgery waiting lists," she said. Oh yeah. I forgot to mention, this is in Australia. I was just talking with an employee of one of my clients. A few months back, she spent a day and a half in the hospital, having three vertebrae fused. The contracted price for the services? Almost $48,000. The price for the hospital's services as originally billed? Somewhat over $600,000. Her out-of-pocket cost? $250. On top of that are her physician's charges, which are also not an insignificant amount. So what does diabetes and E.D. (erectile dysfunction) have in common? A lot according to the Journal of the American College of Cardiology. E.D among diabetic males is a "strong marker" for early heart disease. Diabetics often have circulatory issues, and E.D. is part of the same system. Among the 291 men in the study, 40.5% reported erectile dysfunction in the year before detection of heart disease. We've all heard that phrase. You know the one, where you just can't believe what you've just been told, and your friend says "Don't believe me? Google it!" Well, those two little words are about to take on a whole new meaning. "Thousands of patients at the Cleveland Clinic will be able to turn to Google to access their medical records online — everything from their prescriptions to diagnoses — in a pilot program announced Thursday..."
"Google Inc on Monday unveiled Google Health, a long-anticipated U.S. health information service that combines the leading Web company's classic search services with a user's personal health records online." They've partnered with Walgreen's, CVS, even the aforementioned Cleveland Clinic. In addition to hosting your medical records, it's got a directory of local providers. But the centerpiece of this effort is the actual warehousing of medical data. The EMR (electronic medical record) initially includes one's basic medical history, and is then updated as "things happen." The major difference between this model and ones already "in the wild" is that this record is actually owned by, and under the control of, the patient. This makes the record portable and easily accessible. "medical identity theft is the last straw; after crooks steal their wallet and max out the credit cards, they turn to the health insurance card for even more freebies. "An insurance card is like a Visa card with a $1 million spending limit," says Byron Hollis, national anti-fraud director of the Blue Cross and Blue Shield Association." Granted, Google has a major incentive to keep this info secure, but then again, so did the VA. It seems to me that the onus will be on Google to keep a tight rein on these files, and for participants to keep a close watch on their info, as well. Ye Olde Dinosaur hosts a truly heavenly Grand Rounds today. Modeled after the first chapter of Genesis, it's well-written, easily navigated, and full of inspirational posts. As we've noted here, HIPAA and privacy go together like sunshine and bicycles. The Health Care Law Blog's Bob Coffield has some fascinating (perhaps scary, cerainly startling) statistics on new gummint enforcement efforts. Time magazine has revived and revamped Health.com and they hope to draw 50,000,000 eyeballs each month. A quick look shows a wide variety of topics and resources in a user friendly layout. They have links to research drugs, natural remedies and also have a symptom checker. For those who like to stay on top of things, they have a weekly e-newsletter. Why does popcorn taste so much better when you are watching a movie? And apparently it comes with a plus. A recent study indicates "popcorn eaters have almost a 250 percent higher daily intake of whole grains and a 22 percent higher daily intake of fiber than non-popcorn eaters." Popcorn has been linked to many health benefits, including reduced heart disease and diabetes risk, Dr. Ann C. Grandjean of The Center for Human Nutrition in Omaha, Nebraska, and her colleagues said. Do the benefits of fiber offset the butter and salt you add? “Popcorn may offer a healthful alternative to energy-dense, low-nutrient-dense snacks, and may have the potential to improve nutrient status in Americans of all ages and help them meet dietary guideline recommendations to consume three whole-grain servings per day,” researchers concluded. And just who are these researchers? Research was funded by ConAgra Foods, Inc. The owners of Orville Redenbacher popcorn . . .
Are you a woman trapped in a man's body? Do you think the taxpayer should pay for your gender reassignment surgery? Apparently the Ontario (Canada) Human Rights Commission agrees with you. Seems these procedures were covered, then discontinued in 1998. Now they will once again be covered. "the resumption could generate controversy since other rare and life-threatening ailments require more funding. "I think that people should be careful not to use what is $200,000 on a $40.2 billion health budget as an excuse to try a bit of 'them and us' conversation',"
Just when you thought it was safe to use your cell phone, along comes a new warning. Sounds much better than random survey. Mom, take the Hanna Montana cell phones away from little Suzie. mothers who did use the handsets were 54 per cent more likely to have children with behavioural problems and that the likelihood increased with the amount of potential exposure to the radiation. And when the children also later used the phones they were, overall, 80 per cent more likely to suffer from difficulties with behaviour. They were 25 per cent more at risk from emotional problems, 34 per cent more likely to suffer from difficulties relating to their peers, 35 per cent more likely to be hyperactive, and 49 per cent more prone to problems with conduct. Penny Nickel presents this week's jam-packed edition of the Carnival of Personal Finance. It's in a unique Q&A format, which actually makes for easier navigation among the categories. Is the Crystal Skull deductible? Bligger Rickey Henderson snagged a copy of a letter from Dr Jones' accountant which raises a number of interesting (and amusing) questions. This is a case of "TMI" (Too Much Information), and how it can actually hinder the decision-making process. Early last week, I got a call from "Suzie," whose COBRA plan will expire when this month does, and who has severa "issues:" she's overweight, diabetic and has sleep apnea. The nature and severity of her diabetes alone renders her "uninsurable." And then there's this: she's 63 years old, due to turn 64 this summer. At least two of the carriers she mentioned won't write anyone over age 63 and a half (don't ask; that's another post). Still, she continues to call agents trying to find her own Holy Grail. I explained the problem(s) to her, and asked if she was aware of how HIPAA works in these cases. She indicated that she had, and named a figure which, while pretty hefty, was less than what I knew such a plan would be at her age. I patiently explained that the carriers she mentioned (as well as the rest of those in this market) would not take her. She insisted that at least one agent had told her "no problem." I know when I'm licked, so I suggested that she call that agent back and submit her application. She balked at this, saying that it "sounded too good to be true." I reiterated that her best bet would be the HIPAA plan, but that there was one other alternative: a guaranteed issue mini-med ("limited benefit") plan. The advantages of these plans, I explained, is that one needs only a pulse and a checkbook (not necessarily in that order) to qualify, and that they are much less expensive than the HIPAA plans. Still, I cautioned her, there were reasons for this: one, these plans typically exclude pre-existing conditions for the first 6 months (some for 12 months) and that, as their name implies, the benefits are extremely limited. But if one's budget dictated that it's a mini-med or nothing, it may be an appropriate choice. I am always careful in these situations to stress that the mini-med is an alternative, not necessarily the best one. She didn't like the 6 month wait on pre-ex, and I replied that that was fine with me. Then she asked a question about the prescription drug benefit. Since I didn't have the answer at hand, I offered to call her back, which I did the next day. She still felt uncomfortable with the mini-med, and I again assured her that this was no problem, I was sorry I couldn't help. She then asked how much time she had to make a decision, and I told her that, as long as she had the paperwork in by the 20th, the plan could be in force for June 1. We hung up, and I put my notes away. Lo and behold, she called again last Friday. She had finally become convinced that she had to either go the HIPAA route or the mini-med way. I listened, and waited for her to tell me her decision. But she still couldn't choose. She had called still another agent, who essentially told her the same things I had (one would think this was a major clue, but apparently not). And again, she stressed how the 6 month wait for pre-ex was unsatisfactory. And again, I empathized with her (at this point, I was beginning to feel a bit like Bill Murray). I reminded her that she has until the 20th (tomorrow) to "pull the trigger" on the mini-med, and bade her a nice weekend. I have no idea what route Suzie will take, and I empathize with her dilemna. Still, I think that, at some point, it should have become clear to her that her choices were limited. I don't mind spending the time "holding her hand," but I can certainly understand other agents' reluctance to spend so much time on such a case. Obviously, a second (perhaps even a third) opinion is appropriate for this kind of situation, but she's on her 6th or 7th, and hence in imminent danger of information overload. Which really helps no one. Each year, the gummint publishes the updated guidelines for the following year's Health Savings Accounts (HSA). These are generally adjusted for inflation, and reflect the reality of increasing costs of health care. For example, this year's limit on how much one can contribute to an HSA is $2,900 ($5,800 for a family). That's scheduled to increase next year (2009), to $3,000 for individuals, and $5,950 for families. Keep in mind that the amount one can contribute to the loss fund (HSA) is not bound to (or by) one's actual deductible. This year, the minimum deductible for an HSA-compliant plan is $1,100; that's slated to increase by $50 next year. For families, this year's minimum is $2,200, and increases to $2,300 in 2009. For those so inclined, that means that one can "stuff" more dollars into the loss fund to pre-pay a future expense, or as an additional retirement resource. I know, that's a lot of numbers, but if you own an HSA, they're pretty important. Most of us know John Ritter. Son of Tex Ritter, star of "Three's Company" and later "8 Simple Rules." And most of us remember his sudden death in 2003 due to aortic dissection. It is the story after the story that caught my eye. Dr. Jeffrey Segal posted on em-news.com a commentary that looks at the numbers in medical malpractice. Mr. Ritter's wife settled a wrongful death suit with a number of defendants, including the hospital where he was treated, for $14 million. The trial went forward for the two remaining defendants, radiologist Matthew Lotysch, MD, and cardiologist Joseph Lee, MD. In March, a jury found the two were not negligent in their treatment of Mr. Ritter. The plaintiffs had asked for $67 million in damages. Let me repeat that: $67 million. Sounds like they dodged a bullet. Their attorney said the family wanted that figure so they could use the proceeds from the lawsuit to educate the public about aortic dissection disease. There was no mention if they intended to use the full $67 million for the useful goal of education, or if the lawyers wanted to use two-thirds of that amount for education and one third, or roughly $22.3 million, for educating themselves about how their homes would look with Bentleys in the driveway or with a new driveway altogether, say, leading up to a new house in Malibu. No doubt, money can be a great motivator. What I do know is that there is a sizable disconnect here, between what is expected in the case of a high net-worth individual who alleges medical malpractice and what physicians can realistically be expected to pay in damages. Most physicians carry a mere $1 million in professional liability coverage, which means that they have to write a sizable check. I found that figure shocking. "Only" $1M in med mal coverage? Really thought it would be higher . . . at least $5M. I have more than $1M on my car and then an umbrella over and above that. Most physicians are flattered if they are among the few to be asked by high-profile politicians, entertainers, sports stars, or billionaires to provide care. But is it possible that such high earners could possibly seek full indemnification for their salaries if something goes wrong? Most physicians never think about it. Maybe they should because the Ritter trial shows us that the legal system actually does allow forcing the physician who commits a wrong to make Tiger Woods, Bono, or Robert DeNiro whole again if negligent care is proven. Most high earners value their earning capacity and insure against it on their own. They buy disability and life insurance, so that if something untoward does happen, they actually can be made whole. But the law doesn't recognize that solution. The law says you take the plaintiff as you find him. So, if you negligently injure a billionaire, bankruptcy might be the only way out. Good thing Dr. Ben Sobel was able to help Paul Vitti . Maybe not Tina Turner fit, but more than a couch spud. Nintendo has an idea to get you up, moving and having fun. Wii Fit will hit the shelves next week. Next week, the video game producer will unveil its latest product aimed mostly at women, the Wii Fit, as part of its strategy to vastly broaden the world of gaming. Marketing to women has helped Nintendo defy industry expectations and garner blockbuster sales, soaring profits, and an audience of loyalists along the way including senior citizens, teen girls, and working moms. In Nintendo-speak, women and moms in particular were the "chief household officer" that they were eager to attract. Beats the heck out of Rosanne's "Domestic Goddess." Nintendo Canada is wooing women through ad placements for Wii Fit in "pink collar" magazines such as Best Health and with the web site getupandplay.ca, launched to help teach moms about the Wii system and offers instructions on how organize a Wii party. Now if it can teach them to dance like Tina Turner, they might have a winner. We have slots available for July and August, so PLEASE drop us a line to reserve yours. Breaking News: Health Wonk Review is up! Our favorite health care economist, Jason Shafrin, hosts this week's issue of health care wonkery. Read all about it! Dr Paul Hsieh shares our preference for free market solutions to health care delivery and financing. In this Q&A-formatted post, he explains why. I am not a doctor, nor do I play one on TV. But I do take a lot of medical histories as part of the pre-screening process in evaluating risk and guiding clients through the underwriting maze. One thing that always amazes me are the number of meds used by individuals, especially at younger ages. Many of these individuals have been on copay plans where there were no financial barriers to accessing primary care including maintenance meds. If you are covered by an employer plan, and the employer pays a substantial portion of the premium, it is easy to develop a copay mentality toward health care. In a fast pace society, we want a quick fix and one that is financially painless. What could be easier than a 7 minute visit with the doc who flips through your chart, writes a script and sends you on your way. Total cost for the office visit is $20. Add another $20 for the "latest & greatest" wonder drug and you are back to your old self. Most medications do not provide a cure, but either mask symptoms or keep them in check. Many times a cure lies in a lifestyle change, such as losing weight, exercising more, or both. A recent study by Medco indicates that "51 percent of insured Americans were taking prescription drugs to treat at least one chronic health problem." Surprisingly, nearly half (48 percent) of women ages 20-44 are being treated for a chronic condition, as compared to one third of men their age. Antidepressants are the most commonly used medication among this group, with 16 percent of 20-44 year-old women taking them. This demographic also claimed the sharpest increases in the number of patients on chronic medications, rising more than 20 percent between 2001 and 2007. Is Prozac Nation a reality? Treatments for high cholesterol and high blood pressure were the top medications used by the general population, with more than one-in-five people on antihypertensives and almost one-in-seven on cholesterol-lowering drugs, according to the research that reviewed prescription claims of some 2.5 million insured Americans. These were also among the top four medications taken by 20-44 year-old men, whose use of cholesterol drugs surged more than 80 percent over a seven year period. Anxiety, depression, hypertension, high cholesterol. All conditions that can, in many cases, be controlled or cured by exercise. One of the least expensive (and most effective) ways to reduce health care costs is to make lifestyle changes and give meds the boot. We don't often update our blogroll, preferring instead a more minimalist format. Once in a while, though, we come across something so unique and helpful that we feel an addition is in order. Such is the case with David Baker's "Employee Benefits Links." David's a former employee benefits attorney; he started his site some 13 years ago, and updates it regularly. If you're an employee with benefits questions (or an HR person with some of your own), the Benefits Link site is the place for you. Its no-nonsense, zero-fluff layout may be a bit startling at first, but it's easy and intuitive to use, and full of helpful links and articles. Look for it in our "Resources" list on the right of your screen. I am always amazed at the generosity of InsureBlog readers. Whether for hurricane victims in New Orleans or folks crushed by a falling bridge in Minneapolis, our readers are unstinting. In China, tens, perhaps hundreds, of thousands of people are dead or injured following a massive earthquake. I looked around the web to see who had appropriate assets in place, and who could deliver the necessary aid with a minimum of problems. Every place I looked, the answer seemed to be Mercy Corps. They're already in place, and have the infrastructure, personnel and reputation to get the job done. I encourage all our readers to click over and donate something, anything, to help the struggling people of Sichuan province. Feel free to leave a comment letting us know. "Retired dentist and wife 'in suicide pact' after being told they have to move into separate care homes"
The couple, married for over 60 years, were seldom apart. Nancie Hughes suffered from dementia, while husband Tom seemed to be in good mental shape. Unfortunately, the gummint, in its infinite wisdom, decided that some 6 decades together was long enough, and was planning to move them into two different facilities. Now, of course, they're both dead, saving the MVNHS© even more money. Please tell me about compassionate government-run health care again. It's not like the old days. Self serve is the rage. It doesn't matter if it is gasoline, fast food restaurants or bank ATM's. Thanks to the miracle of the internet, you can go online, get a quote, then apply for coverage in a matter of minutes. You are now entering the self serve economy. Carriers have stepped up to the plate as well. If you can even find a number to call you are forced to speak and punch your way through an endless menu of choices that would make Survivor seem like a walk in the park. Most health insurance companies have plowed resources into self-service Web sites for their policyholders -- Web site portals that display page after page of details on coverage. A handful even provide systems for maintaining electronic health records. Yet the general perception, even among many industry insiders, is that health insurance providers are not customer-friendly. Not customer friendly? Say it isn't so! Not only are carriers downright abusive and elusive to policyholders, they aren't much better with the agents who bring them business. As one who has been in this industry for over 30 years, I know how frustrating it can be to handle even simple tasks. Recently I spent a good part of 2 and a half months getting a simple change effected for a new client who had been trying for 4 months to swap her low deductible plan for a higher deductible. Why are health insurance companies so lacking in the customer service department? If you are a pain to deal with they would just as soon you go away as they would invest resources to solve your problem. After all, it is YOUR problem, not theirs. An agent who is actively feeding them new clients has a much better chance of getting issues resolved than does a DIY policyholder. Indeed, health insurance is such a distinct, unique product that it may not even make sense to compare its customer service outreach to that of, say, the telecom industry -- which also has a reputation for low marks. Just how good is your doc? How much do you really know about him or her? According to the WSJ, a report compiled by American Medical News says that "disciplinary actions against docs have been falling for the past several years, with serious moves like license revocations and suspensions down 17% between 2004 and 2007." Does this mean the docs are "cleaning up their act", less likely to get caught, or that the sanctioning boards are more lenient? Over the past few years, Alaska has averaged more than eight serious disciplinary actions per 1,000 physicians, higher than any other state, according to this recent ranking from Public Citizen. Kentucky, Ohio, Arizona and Nebraska round out the top of the list, each with more than five serious disciplinary actions per 1,000 docs. What exactly does this say about docs in general in these states? Meanwhile, this morning’s New York Times takes a local slice of the data, drawing on the FSMB report to point out that more than 2% of NY docs were on the state’s watch list last year because of concerns about their professional conduct or personal problems that could spill over into work life, such as substance abuse. Wolfe may think it’s a good thing to have lots of docs on a watch list. But as New Yorkers, the notion that one in fifty of our local docs made the list does give us pause. Give us pause, indeed . . . I subscribe to many industry newsletters in an attempt to keep abreast of this changing market. One such publication is The Industry Radar. Recently they posted a link to an article penned by an Episcopalian Priest. "Polly" was a parishioner who died following a massive stroke. Polly was a hard worker who paid her bills on time. Including her medical bills. The priest hits many of the points viewed by many as justification for a universal health care system. Alleged price gouging, cost shifting, cost containment, social conscience. Let's examine a few of the comments. I saw some of Polly's healthcare bills before she died. She was charged the highest possible rates that her hospital and most of her providers could charge. I know because I carefully track my own, everyday costs—and I am reasonably healthy—and I saw the difference that the same hospital charged Polly and what they charged me and my insurance company, and what my insurance company and I actually paid. This seems to be a hot button for many. Carriers negotiate a lower rate in exchange for prompt payment . . . in full (at the negotiated rate). Individual's can do the same. More often than not, the amount actually COLLECTED by providers is far less than is billed, and less than carriers pay. The amount billed for services is truly a non-issue. The real issue is how much is collected. Why is it that those with insurance are "lucky" while those without are not? It is mostly a matter of personal decision, not luck. We are not told how much Polly actually paid, only that she had unpaid bills after her death. If her situation is typical, it would not matter if the bills were discounted 50%, 60% or more. She still would not have paid anywhere close to the "negotiated" rates, much less the full amount billed. Most uninsured's pay around 10% of the billed amount. If we as a society are going to seriously and adequately address the health-care crisis in this nation, we will have to come to terms with the moral question of how we all share in the cost of each other's care. Are we responsible for each other, or not? Do we have obligations to each other, or not? We will bear, even on the most minimal level, each other's burdens, or not? The real question is, how do you want to pay for the uninsured? Changing the game to have health care covered by taxes is just rearranging the deck chairs. We've discussed Alzheimer's and other forms of dementia here in the past, as well as other senior care issues. Generally, these are related either to health insurance or to health care trends. But there's another dimension to dementia, one which often isn't discussed: affected seniors who wander away, and face potentially dangerous consequences. "North Carolina is one of only seven states with a new type of missing persons program called Silver Alert that experts say is urgently needed to address a growing problem." Currently in its (you should excuse the expression) infancy, the Silver Alert system seems to be gaining ground slowly. With the graying of the population, especially as Baby Boomers reach their Golden Years, we'll likely see this picking up steam. If so, you might want to pay attention. It might save your life. If you are referred to as a rock, that is not a compliment. Every field has its' own lingo, and the medical field is not immune. Thanks to shows like "House" and "E.R." it seems most of us know what a CBC is and "stat" means you need to act quickly. But the folks at the Chicago Tribune have a few more terms for us to learn. a "rock" describes someone whose condition never seems to get better or worse, creating a hassle for doctors who often see their job as moving patients smoothly through the system. Quick diagnosis, quick fix, out the door. Please don't tie up their time by asking questions. A 1978 novel (The House of God) introduced the term GOMER, "short for "Get Out of My Emergency Room"—an epithet usually reserved for elderly patients with difficult, chronic illnesses." Gotta confess, that one set me back on my heels. "Oh, we never use that word anymore," said Dr. Alexis Dunne, a third-year internal medicine resident at Northwestern University School of Medicine. "That's old school." Here is another term. Turfing. "(Turfing) refers to discharging the person or transferring him to another department. Residents often refer to newly admitted patients as "hits," sometimes lamenting, "I got 10 hits last night." A shift with no admissions is a "no-hitter." When you check out (permanently) does that go as a "K" on the board? So when a GOMER waltzes in to the E.R. and is labeled S.O.B. you might figure they are going to be turfed in S.O. "Need to see a specialist fast? Too bad you're not a dog." Our Neighbors to the North© have apparently outdone themselves. As we've repeatedly noted here at IB, that "Free Health Care" comes at a steep price: actual, you know, care. If you're a Canuck with cancer, you'll likely wait well over a month to see an oncologist. "Trouble is, when it comes to medical care in Canada, our pets are often getting what we get — and a whole lot more besides. And they're getting it faster too." Five-time host David Williams presents this week's round-up of the best of the medblogs. There are over 2 dozen interesting posts, and each one comes with a terrific explanation and context. Kudos, David! For a bit of nostalgia, I recommend Peter Zavislak's post on his favorite medical-themed TV shows. I expected M*A*S*H and House, but General Hospital? Fun post. Some time ago, we discussed disability insurance coverage for stay-at-home mom's (in fairness, pretty much everything we'll discuss in this post is equally applicable to stay-at-home-dad's, too). As noted then, it's difficult to obtain, because it's well-nigh impossible to verify a loss of actual income in such cases. One alternative would be to consider a critical illness plan, and perhaps an accident plan. These would pay a lump-sum based on a diagnosis or injury, regardless of actual financial loss. But what about life insurance on that stay-at-home-spouse (SAHS)? Recently, I had an interesting conversation with a prospect who had asked me about additional life insurance for her husband. At the time, he worked for a company which provided a modest amount of group life insurance, which "Jane" felt was inadequate. She asked me to run some numbers for "Joe," with an eye toward a more realistic amount. I did so, and have periodically checked back to see when (and if) they would be moving forward. After more than a year of this, I dropped it, since it was obvious that they didn't feel it was a particularly pressing problem (despite my best efforts). Last week, Jane dropped by the office to go over her home insurance with my P&C colleague. I figured "what the heck," and asked if they would like updated figures for Joe. She answered that they no longer needed the coverage, since he had left that job to become a stay-at-home-dad. Since he wasn't contributing (directly) to the household finances, she said, he didn't need any life insurance. "If a stay-at-home mom could be compensated in dollars rather than personal satisfaction and unconditional love, she'd rake in a nifty sum of nearly $117,000 a year." "The biggest driver of a mom's theoretical salary is the amount of overtime pay she'd receive for working more than 40 hours a week." So what does Jane have to say about all this? Well, I forwarded a copy of the article to her, and will wait to see how (if?) she responds. Meantime, if you (or someone you know) is a SAHS, perhaps it's time to review that life insurance portfolio. Right after the laundry's folded. Hosted this week by Money Under 30, it's jam-packed with helpful financial tips. This week's Carnival continues the new tradition of a few "Editor's Choice" entries, followed by the rest of the submissions, categorized and with helpful summaries. Quite a few people do not have health insurance. Some cannot qualify for medically underwritten coverage, do not have a job with benefits, and have not taken advantage of plans available in all states for those considered uninsurable. Others make too much money to qualify for taxpayer subsidized coverage and say they cannot afford coverage. And quite a few have no health issues, have plenty of disposable income and voluntarily choose to go without coverage. Steve Kagan is one of those people. Kagen, a Democrat and an allergist, is the only Congressman to refuse insurance, Scientific American reports this week. He announced his insurance status to the world last year on the Huffington Post, and this year he introduced a bill that would bar insurers from denying coverage or raising rates because of pre-existing conditions. He’d also require companies to disclose all of their rates. Apparently Dr. Kagan is not familiar with what happens when insurers are required to cover everyone, regardless of pre-existing health conditions. Coverage becomes more expensive and less accessible to all, including the healthy. Negotiating works . . . as long as you have the money to pay the bills. One would assume someone with M.D. after their name would have significant assets to pledge toward payment of health care. For Dr. Kagan's sake, let's hope this foolhardy publicity stunt does not result in a major loss of assets. Recently, Bob wrote about cost-efficiency and claims management. In that post, he said "The more you learn about using tools that are readily available the better equipped you will be to maximize ALL your health care dollars." But it gets better. Knowing my penchant for transparency in healthcare, Bob sent me a handful of relevant links and articles, which I'll share with IB readers in our first "mini-carnival:"
First up, Physician Reports is a sort of "self-serve" site that rates (dunh!) physicians. It's a free service, which is nice, but I'm a little turned off by the lack of accountability. That is, I poked around quite a bit, and still have no idea who runs the place, or how to contact them. It seems to me that there needs to be transparency in transparency, too. Next, Florida's looking to increase the availability of cost information. A bill currently in the state Senate would require "pricing information from hospitals for 150 of the most commonly performed medical procedures to be posted on a state website." While I applaud this effort, I have two reservations: first, pricing information without matching outcomes (results) is potentially dangerous. Second, I'm not sure that legislation is really needed here: it seems to me that the market is beginning to drive carriers and providers to make these tools more widely available. Regular readers know that we accept no paid advertising here, but we do "plug" carriers and providers whom we think deserve mention. Such is the case with HSA Trustee Services, an online Health Savings Account (HSA) administrator. What sets them apart are two interesting services they provide "over and above" just plain HSA oversight. First, they've added a "price negotiation service" to help keep their clients' out of pocket costs down. Second, they've teamed with a private lab service to help keep diagnostic expenses down, as well. We're all familiar with the ubiquitous "name your own price" services for travel and the like. How would you like to bid on how much you'd pay for a nosejob? How about a colonoscopy? Forbes Magazine reports that "Medicine Online's network of 35 surgeons can bid for a job by responding with their fees and credentials." The service went online and live in March, and has already stirred up quite a debate. In terms of transparency, this may well be too much of a good thing.